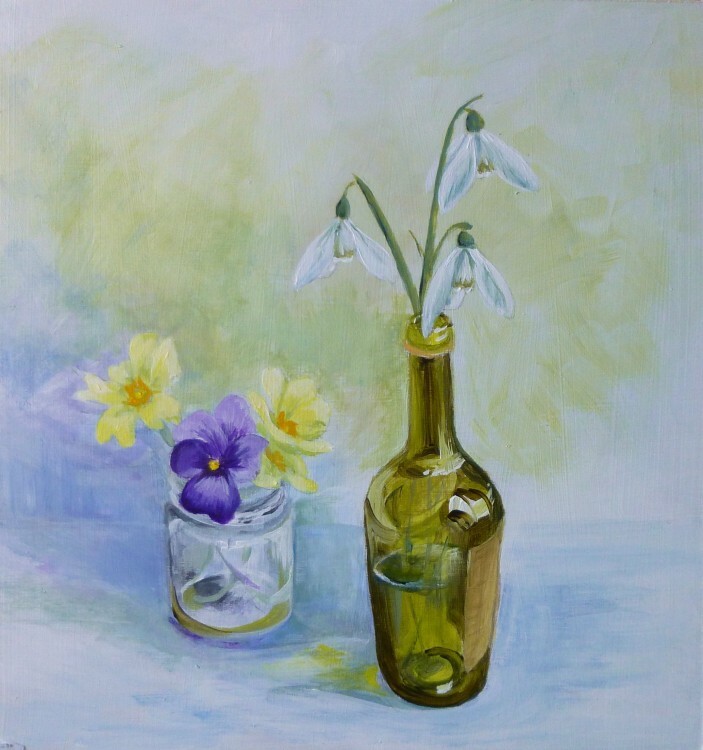 Just finished ‘From my February garden’, as the light was really good this afternoon, so I thought I’d get it up on the website gallery straight away! Especially as it is now March, so I’m a bit late with this one. Primroses and a winter flowering viola in a tiny jam-jar – the sort that comes with a cream tea full of strawberry jam. And snowdrops in a miniature brandy bottle, whose contents went into the Christmas cake a few years ago, I think!